The Skin Clinic can customise a program of treatments to target your specific skin concerns whether it be ageing, pigmentation or Acne or Rosacea. A consultation is recommended prior to receiving any of the Clinical Peels listed below. AlumierMD Peels are the next generation of clinical exfoliation. Chemical peels work by deeply exfoliating the surface layers of the skin, forcing your body to quickly replenish it with new cells. When peels are performed regularly, the skin gets used to this process and begins to rejuvenate itself like younger skin. To be sure that the body doesn’t react to this exfoliation as it would to trauma, which can lead to pigment changes, exfoliation must be introduced gradually giving the skin time to adjust. AlumierMD light to medium depth peels are known for their excellent results and safety profile. We believe in repeated treatments for progressive and gradual results to avoid side effects and downtime associated with deeper peels. AluminerMD peels target Acne and Rosacea by uncloggin pores and calming irritation and redness. AlumierMD Glow peel treatment is a medical grade peel combining lactic acid, salicylic acid and resorcinol. The treatment has a unique complex of ingredients which will help treat skin by minimising fine lines and wrinkles, addressing hyperpigmentation targeting age spots, discoloration and uneven skin tone. 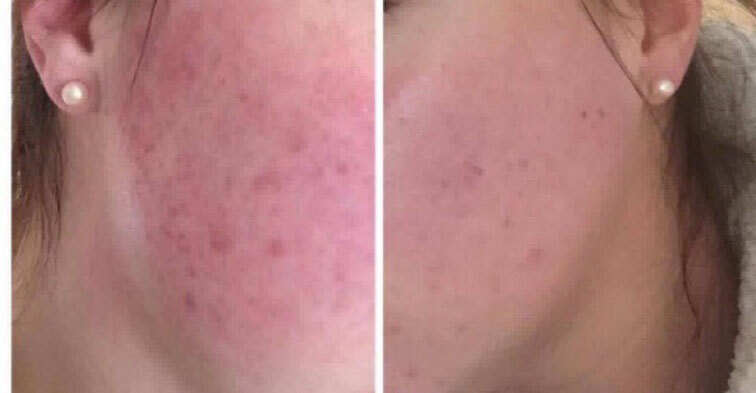 This treatment also targets acne to help unclog pores, whilst addressing scarring, decreasing bacteria and calming irritation and redness, all with minimal downtime. Glow Peel can be customized by strength by numbers of layers. This peel also includes the Enzyme Retexturing treatment and an application of our Vitamin A boost. Radiant 30 is an alpha hydroxy acid resurfacing peel containing lactic acid to exfoliate dead skin cells, boost cell turnover and stimulate collagen improving skin texture and tone. This multifunctional peel targets multiple skin conditions, including fine lines and wrinkles, discoloration, sun damage and large pores. Vitamin A boost is a pure retinol and lactic acid resurfacing treatment. It reduces the appearance of fine lines, wrinkles and hyperpigmentation by boosting collagen production and speeding cell turnover, creating a more radiant and even-toned complexion. Ideal for mature or sun damaged skin. What is a Chemical Peel ? Whether you are aiming to correct photo-damage, post inflammatory hyperpig mentation or hormone related melisma the melanocyte needs to be suppressed with EmbIica” M Exfoliation will remove pigmented skin cells and accelerated results. AlumierMD was developed by a global team of scientists, dermatologists and leading industry professionals. Through advanced propriety chemistry, AlumierMD has optimised the bioavailability at each molecule in our ingredients we use. As a result, our scientific formulations deliver exceptional results. AlumierMD was born out of an understanding that everyone wants clear beautiful skin. We assembled a team of top scientists and physicians to bring you the most effective formulations using optimal medical grade ingredients. Because we focus on the science behind great skin, we know that it starts with identifying and understanding every skin profile. Our comprehensive medical skin care line includes start of the art science based, luxurious formulations with innovative delivery system. These products address multiple skin concerns, delivery results and perform progressively over time.